The holiday season is a busy time, with people bustling about. And it's a busy time for Edgar, a cabdriver who conveys passengers around the city. All day long Edgar drives his cab; many people going to many different places. At the end of one busy day, Edgar is so tired he climbs into the backseat of his cab to take a nap. But he discovers he is not alone. A little hamster has somehow been left behind from one of the many fares Edgar has driven. Edgar dutifully reports the hamster to the cab company's Lost and Found department, but in the meantime the little creature needs to be taken care of. Edgar brings the hamster to his apartment, making it a bed, feeding it, and even giving it a name, Chickpea. 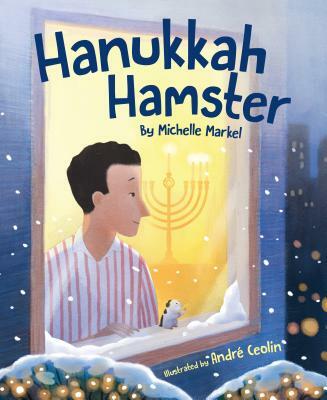 As Edgar starts his Hanukah observance, with no family nearby to share in it, the little hamster becomes more than a casual companion to the lonely man. But what happens when Chickpea's owner is found?